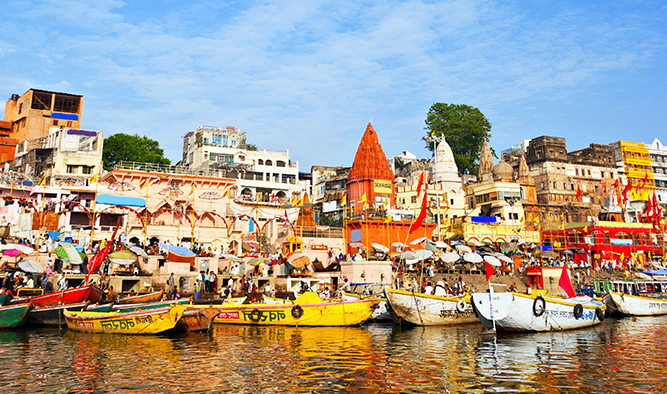 The holy city of Varanasi is an epitome of Indian culture and spiritual ethos resting on the serene banks of River Ganges. 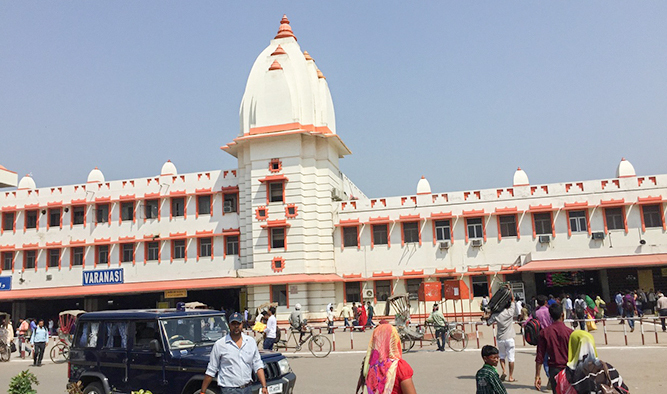 The tour starts with an exploration of this sacred city and continues with a visit to the major cities and districts of Bihar. 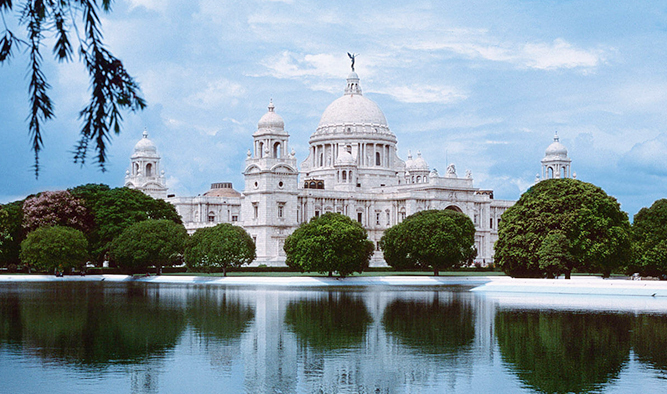 From the seventh day we reach to West Bengal and embark on exploring the jewels of the state. The tour lasts for 12 days with 3 nights in the hotel and 8 nights in RV Bengal Ganga. The cruise schedule includes the latest information regarding the program where last minutes adjustments can be made. Our tour commences with one of the holiest cities of India, Varanasi. 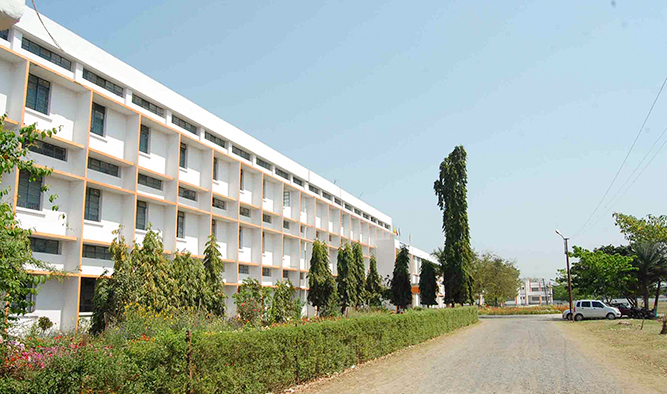 Upon arrival, the passengers will be directly taken for the check-in at the hotel. Late afternoon, join us to experience the enchanting and the incredible streets of Varanasi on a cycle rickshaw. This is followed by a boat ride on the Ganges where the passengers will witness the mesmerizing evening ‘Aarti’ after which they will be taken back to the hotel. Witness the splendid views along the Holy River through our Sunrise Boat Tour early morning. After the ride, we take you to the hotel for a scrumptious breakfast. Post lunch, we take you to Sarnath, a place that acquired recognition as the seat where Lord Buddha gave his first sermon after attaining enlightenment in Bodhgaya. After this spiritual tour, we take you back to the hotel. After breakfast, we commence our journey for Bodhgaya. It is a sacred Buddhist pilgrimage site located in the state of Bihar. The village houses a UNESCO World Heritage Site, Mahabodhi Temple, which is a highly revered shrine in the village and is believed to be a place where Buddha attained enlightenment. After the exploration, we take you back to the hotel at night. The 4th day starts with a drive to Rajgir, the first capital of the Magadha Empire. 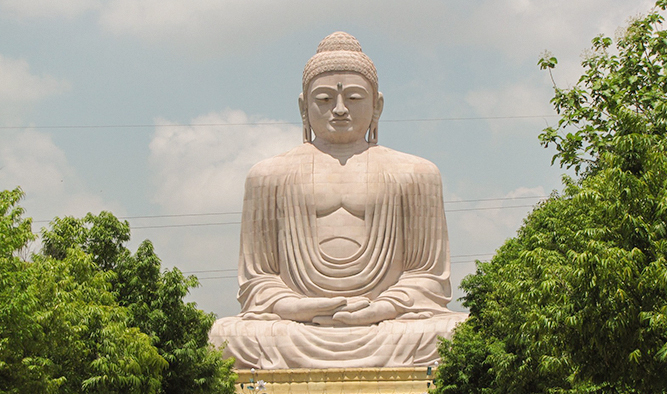 Buddha spent several years in this ancient city delivering important sermons for those embarking on a spiritual path. After the Rajgir exploration, we drive to Nalanda after picking up the lunch from a local restaurant. 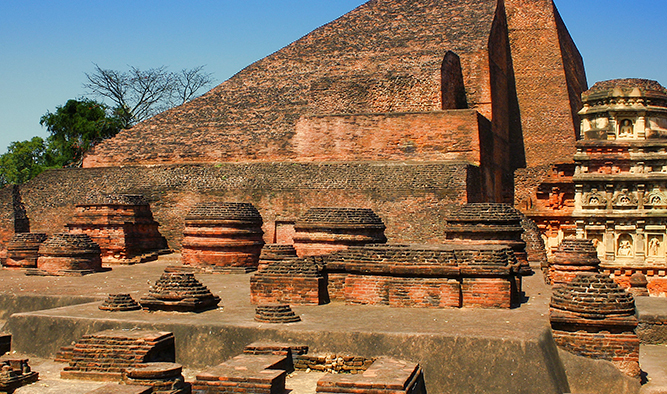 Nalanda district treasures a glorious past, rich spiritual heritage and extraordinary architecture dating back to 5th century. Our last stop for the day will be Munger Jetty, one of the largest and most industrialized cities of Bihar, where the passengers will aboard RV Bengal Ganga. After breakfast, we take you to visit the Bihar School of Yoga, a modern school founded in 1964 by Satyananda Saraswati. After exploring this school, the passengers are taken back to the ship where we cast off towards Bhagalpur by sailing past Sultanganj. The river here impinges on a stone and carries an immense religious significance. We spend the night in Bhagalpur. We sail down to Bateshwarsthan on the morning of the 6th day. After breakfast, we drive to Vikramshila University, one of the two most important centers of Buddhist learning in India during the reign of the Pala dynasty. After exploring the University, we return to the ship and sail downwards to Samtaghat and spend the night in the cruise. 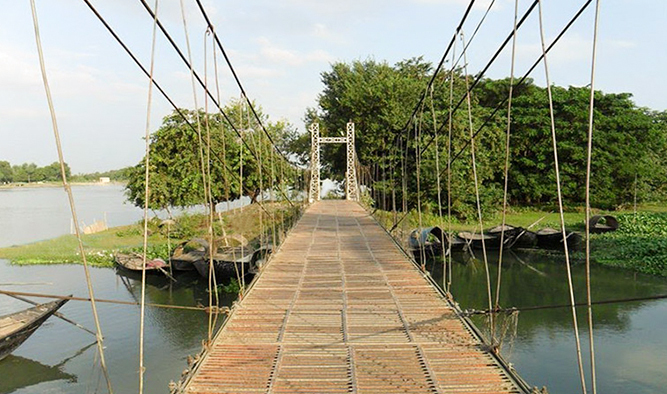 On the 7th day, we cruise towards Farakka Barrage Township, the Barrage which regulates the Ganges into Bangladesh. Midday we cross the historic Farakka Lock Gate, which dates back to 1963-75, and cruise to Bhagirathi-Hooghly River. All throughout the journey, the passengers will come across various species of birds worth capturing on their cameras. During the night, we cruise towards Jangipur and spend the night in RV Bengal Ganga. 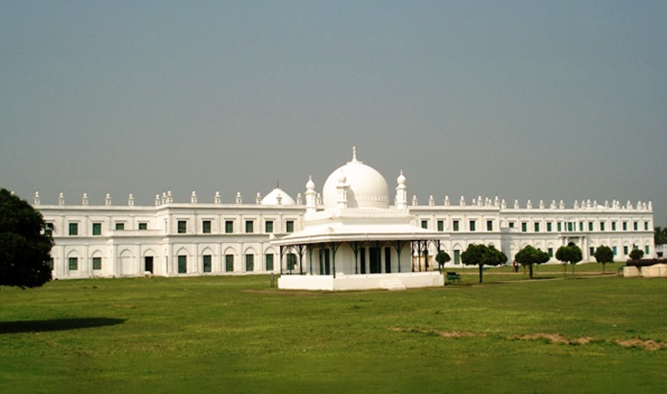 As we reach Murshidabad in the afternoon, the passengers will be taken for a walk to Hazarduari Palace Museum. Built during the reign of Nawab Nazim Humayun Jah (1824-1838 AD), the palace is adorned with thousand doors and vast corridors. The gallery of the palace museum houses a wide collection of antiques, including various kinds of weapons, oil paintings, statues and manuscripts. While we walk back, we take the passengers to the local market after which they’ll spend the night in RV Bengal Ganga. 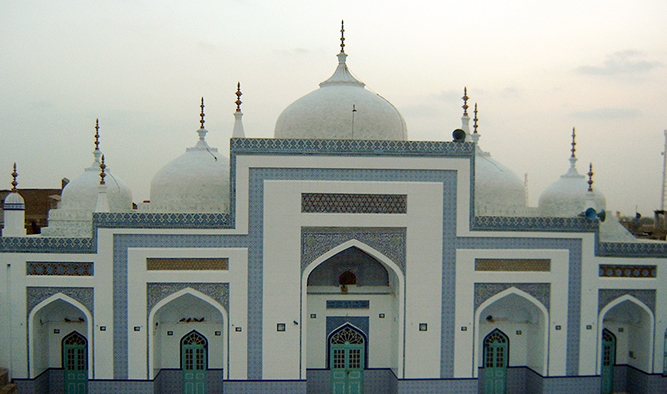 In the morning after breakfast, passengers will be given a ride to the Katra Mosque, the oldest mosque of the town built in the year 1725. After a quick tour, we head back to the jetty and commence our cruise towards Matiari, sailing past Plassey. It is a well-known battlefield where Robert Clive of British East India Company defeated the Mogul Nawab. We arrive at Matiari and spend the night in RV Bengal Ganga. Early in the morning, we visit Matiari, a village which is famous for brass and copper production. We let you experience the process of brass making through a stroll in the village with a chance of buying artifacts and souvenirs. Then we cruise towards Kalna where we are expected to arrive by afternoon. 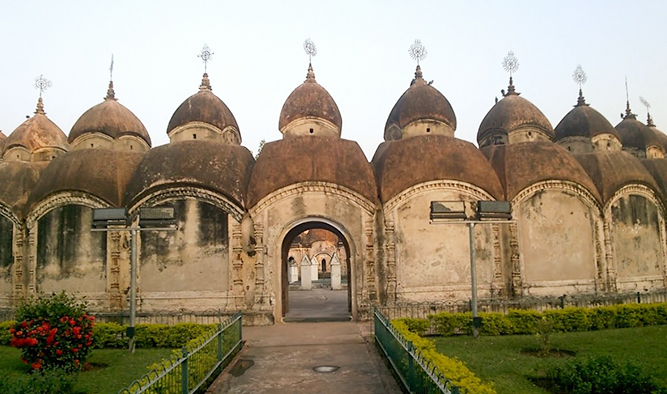 Post lunch, guests will be taken to Rajbari Temple Complex, which houses a commendable number of shrines with immense religious significance and impressive architecture. 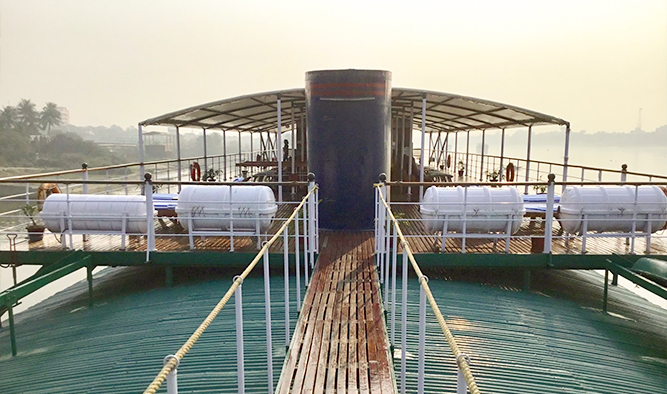 We sail further down at Bandel for the night and spend overnight on board RV Bengal Ganga. On the 11th day, we cruise through the vast countryside of golden Bengal towards Kolkata. We cruise through the areas of European trading posts. After lunch, a heritage tour will be organized to the popular monuments such as Writer’s Building, General Post Office, High Court, Raj Bhawan, Town Hall, Council House, Treasury Building and the Reserve Bank of India. The heritage tour is followed by a visit to the popular landmarks of the city such as St. John’s Church and Victoria Memorial. We spend the night in RV Bengal Ganga. 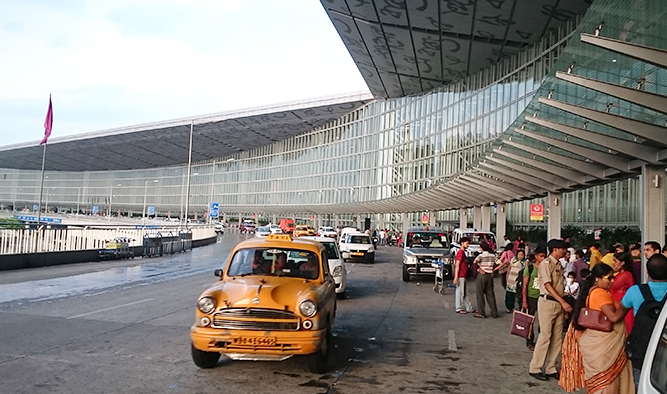 After breakfast, we take you to the airport for your flight or depart to your onward destination.